I was recently in Anthropolgie rummaging through the sale table. 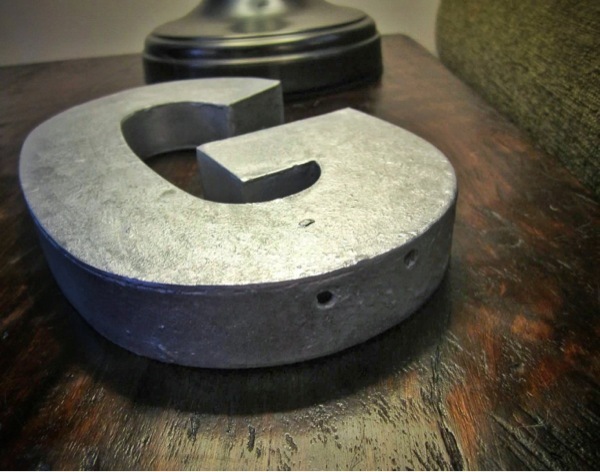 I came across this letter "G" I totally fell in love. At first sight, I thought it was paper mâché but when I picked it up I was thrilled. It's metal. It has substance. It's rough around the edges. I had to have it!